The fee shall be Rs. 25,000/- per semester. 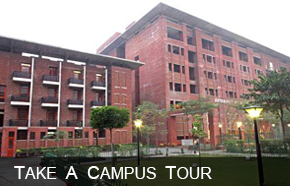 Limited shared hostel accommodation is available for Ph.D. Scholars at an additional hostel fee of Rs. 55,000/- per semester which includes boarding and lodging. Financial Support may be provided to full time Ph.D. students in the form of Research Fellowship, subject to availability.